We have the longest coastline in the world and the best stories (sorry). Stretching more than 200,000 kilometers—just over half the distance between Earth and the moon—Canada’s coastline is the longest in the world. No other country even comes close; Indonesia ranks second, with a maritime margin about a quarter of Canada’s. What’s unique about Canada’s coastline is its proximity to three oceans—each with different climates, creatures, even smells. These oceans host a variety of communities that have their own ways of interacting with the sea, from the salmon fishermen of the west coast to the narwhal hunters of the Arctic. As we know very well at Hakai Magazine, the coastline is a treasure trove of stories—from tight-knit communities tackling climate change together to species that are struggling for survival in an ever-changing environment. Not to mention the colorful cast of characters who are drawn to coastal living, including the quirky mummers of Newfoundland and British Columbia’s Salt Spring Seals, an all-seasons swim club. This Canada Day, we invite you to kick back and enjoy some cultural stories from along our coastline. 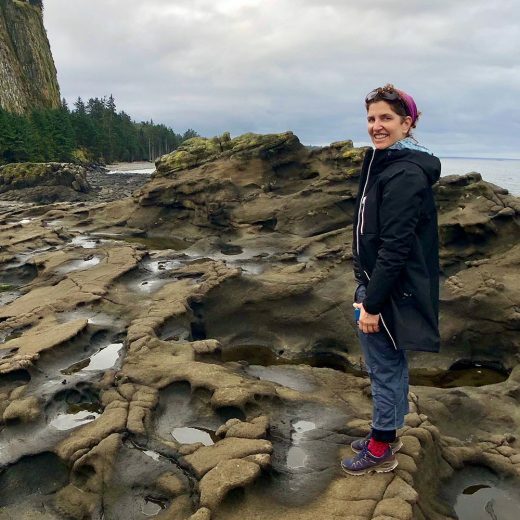 Cite this Article: Jude Isabella “Eau Canada,” Hakai Magazine, Jun 30, 2017, accessed April 25th, 2019, https://www.hakaimagazine.com/videos-visuals/eau-canada/.